Even though I'm a photographer, I'm super passionate about design and packaging, so creating beautiful packaging for my wonderful clients to house their wedding images is one of my most favorite things. For my 2017 wedding clients I've got these pretty copper and glass boxes which I fill with their custom wood USB for their images, a few of my favorite prints from their big day, and then a vial of Backpacker Cologne from Juniper Ridge, which is my most favorite scent in the whole world. 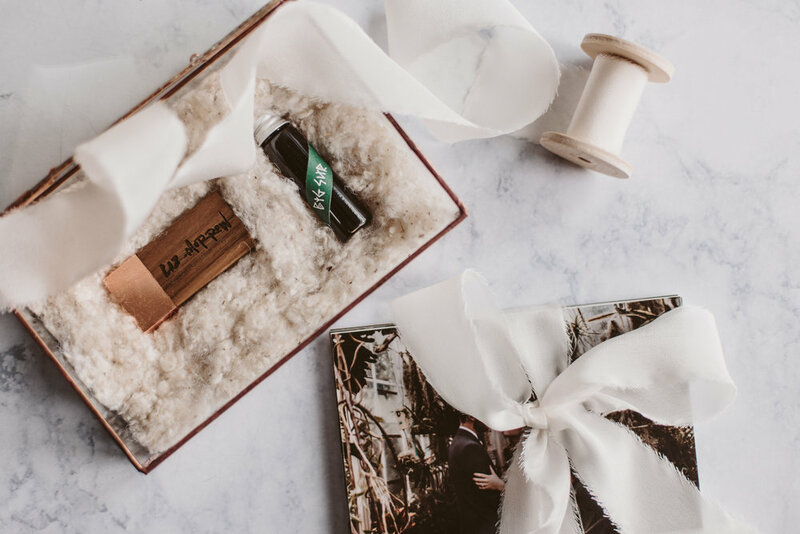 If you're a client of mine and have gotten a package from me, it probably smelled like the woods (you can thank Balsam Fir essential oil for that! ), so I love being able to include a little woodsy scent from one of my favorite companies.